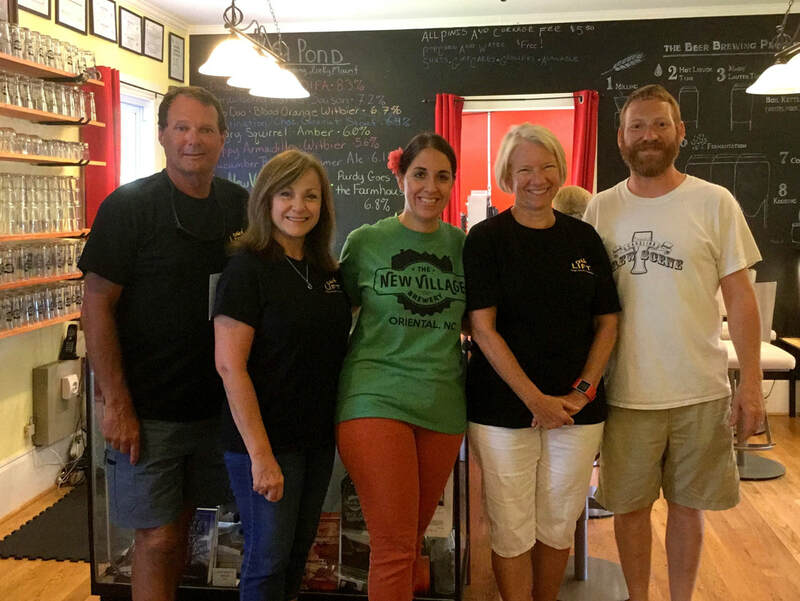 The local non-profit Hodges Education Foundation’s LIFT (Leadership Information for Tomorrow) youth program received over $1500, thanks to a fundraiser hosted by the New Village Brewery & Taproom in Oriental on Croaker Festival Saturday, which included matching donations from Tidewater Realty’s Chris & Maria Machle, Ken and JoAnn Reed, and an anonymous donor, plus other individual donations given at the event. This generous support will help LIFT continue to provide skills training in interviewing, financial literacy, conflict resolution, time management, and other leadership qualities to youth in Pamlico County Schools, Arapahoe Charter School, Pamlico Christian Academy, and HeartWorks Teen Leadership Academy. 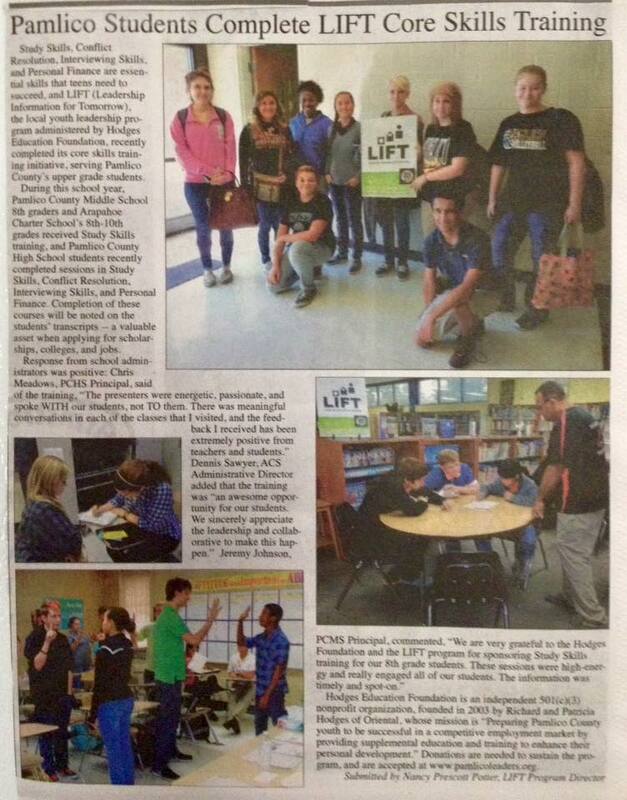 You can learn more about LIFT as well as make a donation at www.pamlicoleaders.org. The “How to Make Your First 100GRAND” LIFT Leadership Retreat at Camp Caroline (Oct 27-29) is currently accepting online applications from all PCHS and ACS high school students. Retreat activities will focus on developing skills related to securing employment or scholarships: resume writing, interviewing, personal presentation (dressing for success, being confident), table manners, online applications, and on-the-job etiquette, plus many fun activities such as campfire, canoeing/kayaking, and challenge course. Cabin accommodations and meals for students, as well as Sunday lunch for parents/guardians is included at no charge. 25 spaces are available, and students/parents may apply online at www.pamlicoleaders.org. Deadline is Oct 10. Detailed information is provided on the website, or you may email Nancy Prescott Potter, LIFT Program Director at NancyPotter@pamlicoleaders.org. The retreat is sponsored by Hodges Education Foundation and promotes LIFT’s Mission, "Preparing Pamlico County Youth to be successful in a competitive employment market by providing supplemental education and training that will enhance their personal development." For more information on the foundation, visit www.pamlicoleaders.org. 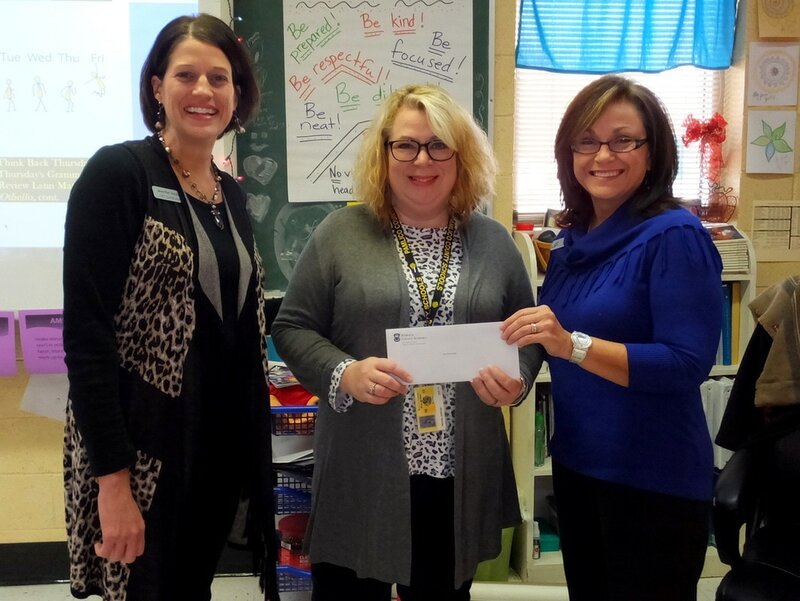 Rachel Gorton, PCHS English Department Head (center), receives a purchase voucher award from Hodges Education Foundation’s Jennifer Sanderson Alcock and Nancy Prescott Potter. Hodges Education Foundation LIFT Program awarded PCHS English teachers with purchase vouchers in appreciation for the English class periods set aside for LIFT Core Skills Training at PCHS last semester. Vouchers in the amount of $100-$150 were presented to each teacher to assist them in their classroom. LIFT (Leadership Information for Tomorrow) training consists of essential skills that teens need to succeed – Time Management, Conflict Resolution, Interviewing Skills, and Personal Finance, and which aligns with the school’s 21st Century Learning model. The non-profit Hodges Education Foundation plans to continue this goodwill gesture. 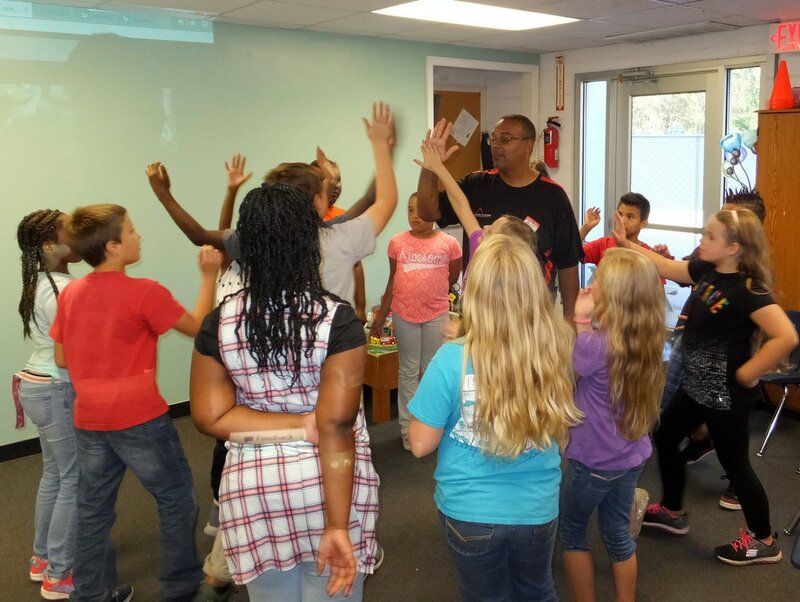 Students in grades 6-8 of Heartworks 21st Century Community Learning Center's Teen Leadership Academy were recently rocked by a dynamic presentation from Leading To Change. Charlotte-based Leading To Change provided a fresh, fast-paced, laughter-inducing, highly interactive, skills-focused afternoon of learning for Heartworks Teens. This exciting experience was sponsored by the LIFT Program of the Hodges Education Foundation of Oriental. Students participated in active Team Building, Goal Setting, Visualization, and Social Skills engagement games. These activities are designed to support the youth leadership and character building objectives of the Teen Leadership Academy, an afterschool program for middle school students. The Teen Leadership Academy is housed in the Pamlico County Middle School and provides opportunities for daily homework help, recreation, personal responsibility growth, field trips, and fun arts and crafts experiences. 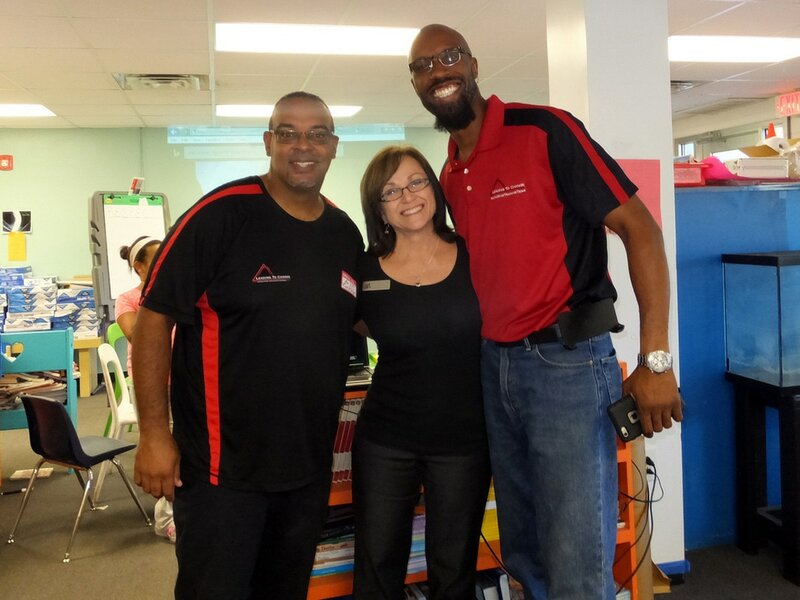 LIFT Program Director Nancy Prescott Potter introduces Leading To Change Trainers Fred Baker (right) and DJ Coles to Hearworks' Middle School Students. Heartworks Teens learning how to become responsible team members. The Hodges Foundation's LIFT Program plan to further support the Teen Leadership Academy during the coming semester by introducing a series of workshops in the areas of Social Media Etiquette & Safety, Money Management, Conflict Resolution, and Communication Skills. Heartworks Executive Director, Karen Prince, stated, "This event is an outstanding example of the impact community support for our children can have on their lives. In addition, the fact that Pamlico County Middle School Principal, Jeremy Johnson, has hosted the Leadership Academy in his school has made it possible for more of our young people to take part in the afterschool sports and activities right on campus, as well as enjoy the program we offer in a safe and loving environment. Study Skills, Conflict Resolution, Interviewing Skills, and Personal Finance are essential skills that teens need to succeed, and LIFT (Leadership Information for Tomorrow), the local youth leadership program administered by Hodges Education Foundation, recently completed its core skills training initiative, serving Pamlico County’s upper grade students. During this school year, Pamlico County Middle School 8th graders and Arapahoe Charter School’s 8th-10th grades received Study Skills training, and Pamlico County High School students recently completed sessions in Study Skills, Conflict Resolution, Interviewing Skills, and Personal Finance. Completion of these courses will be noted on the students’ transcripts -- a valuable asset when applying for scholarships, colleges, and jobs. Hodges Education Foundation is an independent 501(c)(3) nonprofit organization, founded in 2003 by Richard and Patricia Hodges of Oriental, whose mission is “Preparing Pamlico County youth to be successful in a competitive employment market by providing supplemental education and training to enhance their personal development.” Donations are needed to sustain the program, and are accepted at www.pamlicoleaders.org.